Ayn Rand, author of the best-selling novels, The Fountainhead and Atlas Shrugged, is beloved by millions of readers, and equally despised by a significant number of detractors. Her novels and her revolutionary philosophy of Objectivism have acquired a world-wide following. They have also created legions of readers who are hungry for a deeper understanding of her writings. Despite her undeniably significant contributions to the literary canon and the progression of philosophy, there has been no simple, comprehensive introduction to Rand�s books and ideas, until now. 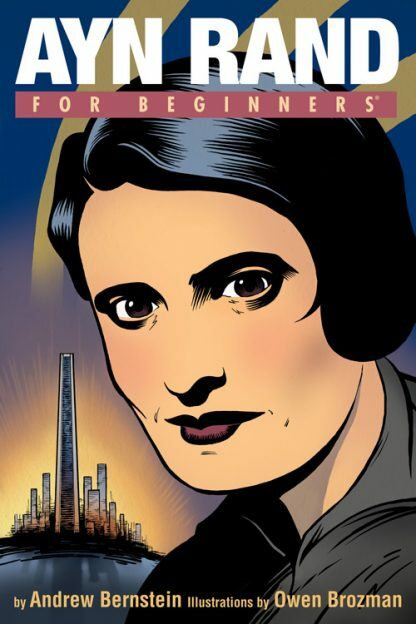 Ayn Rand For Beginners sheds new light on Rand�s monumental works and robust philosophy. In clear, down-to-earth language, it explains Rand to a new generation of readers in a manner that is entertaining, and easy to read and comprehend. Andrew Bernstein, PhD has published on a wide variety of philosophical and literary issues based on Ayn Rand�s philosophies including Objectivism In One Lesson: An Introduction to the Philosophy Of Ayn Rand. His book, The Capitalist Manifesto: The Historic, Economic, and Philosophic Case for Laissez-Faire, was published in 2005. Dr. Bernstein is a Visiting Professor of Philosophy at Marist College; he also teaches at SUNY Purchase (which selected him Outstanding Teacher for 2004)--and formerly at Pace University, and Marymount College (which selected him Outstanding Teacher for 1995). He has taught at Hunter College, Long Island University, and many other New York-area colleges. He lectures frequently at philosophy conferences all over the United States; additionally in Canada, England, Belgium, Norway, Hong Kong and Bermuda.